Ana Patricia "Ica" Maximo topped the STK Mini-Sprint Female 13-15 Category in the first leg 1 of the Cong. 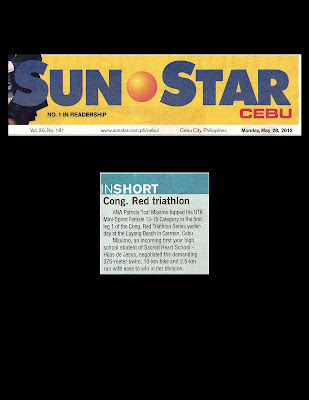 Red Triathlon Series yesterday at the Luyang Beach in Carmen, Cebu. 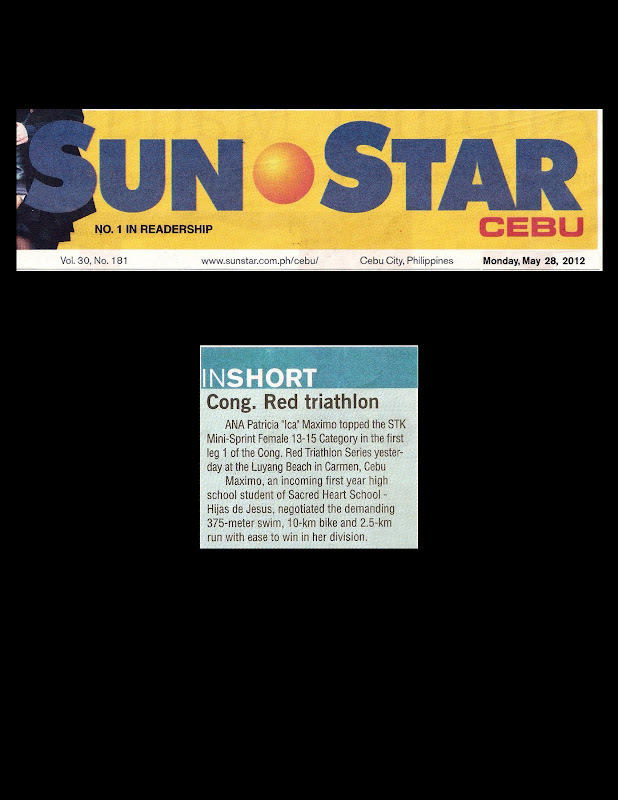 Maximo, an incoming first year high school student of Sacred Heart School - Hijas de Jesus, negotiated the demanding 375-meter swim, 10-km bike and 2.5-km run with ease to win in her division.